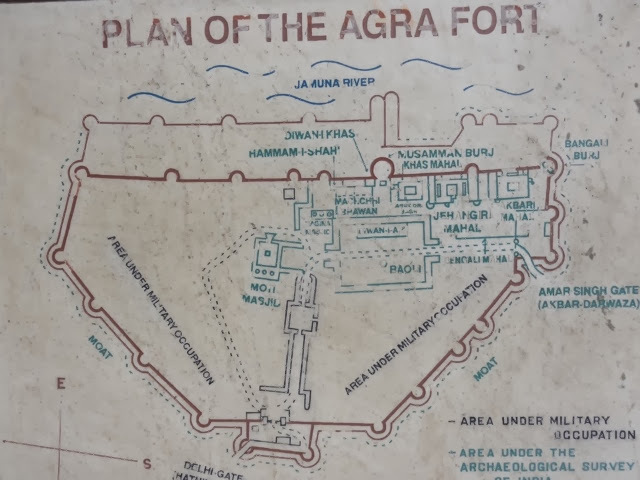 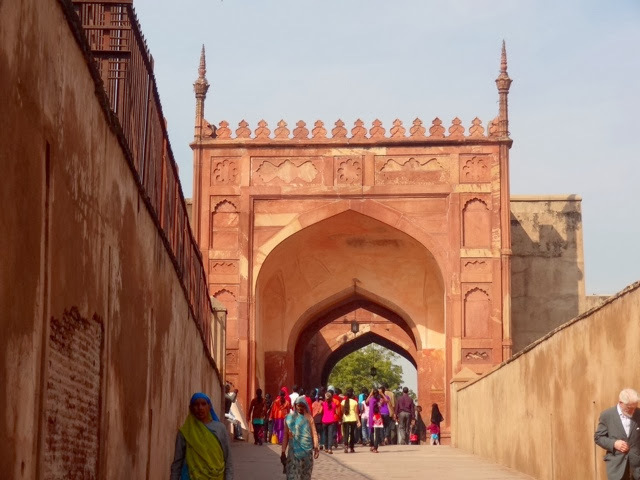 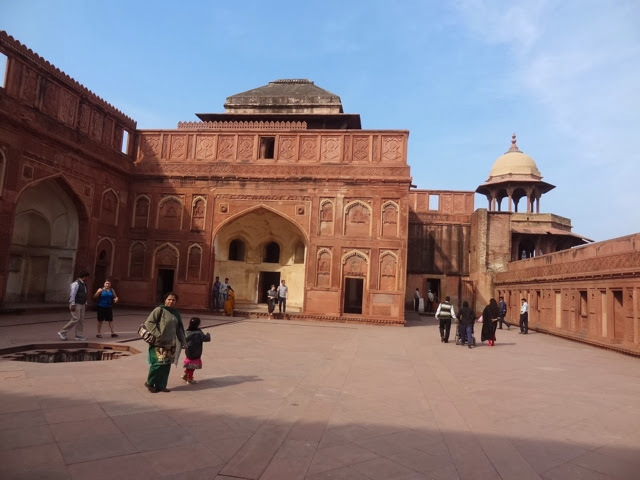 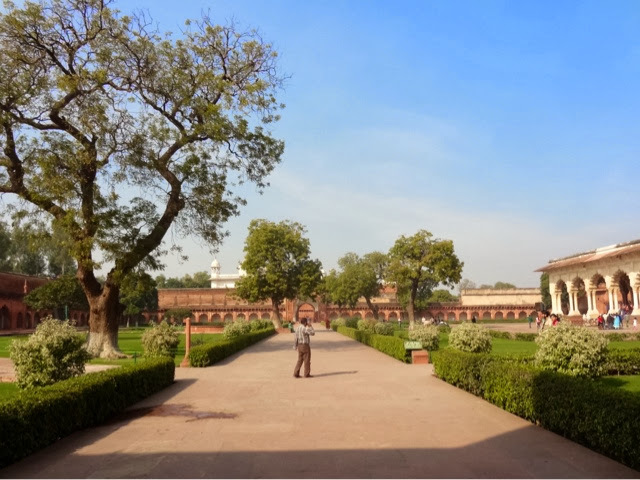 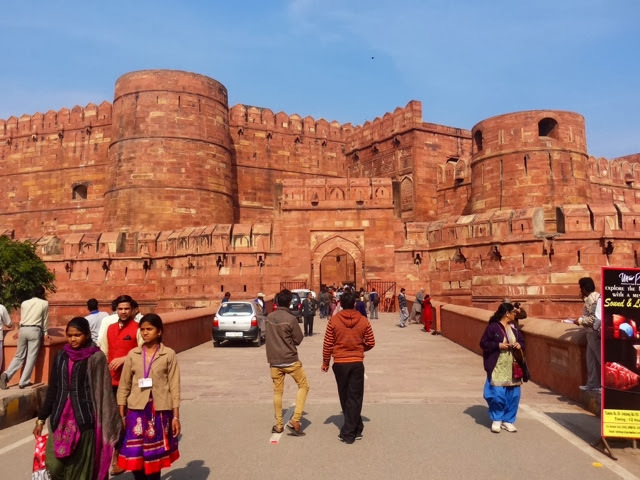 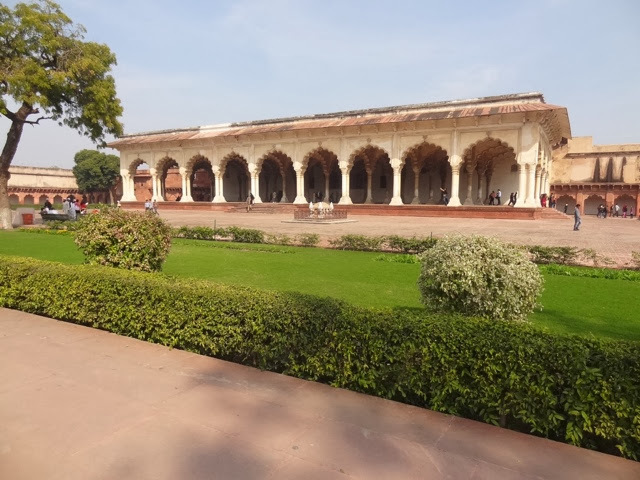 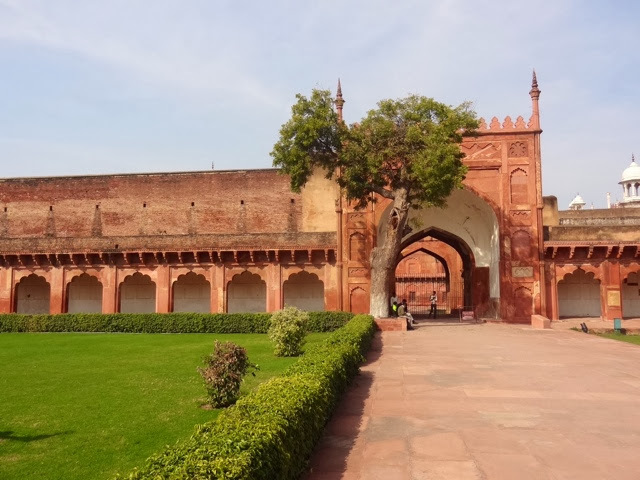 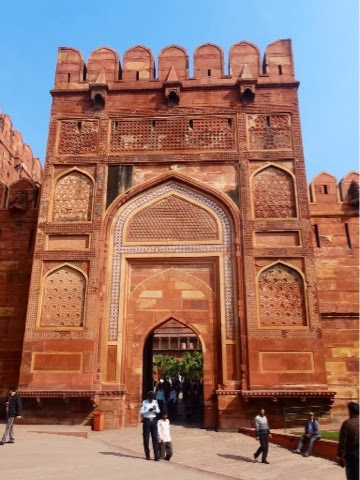 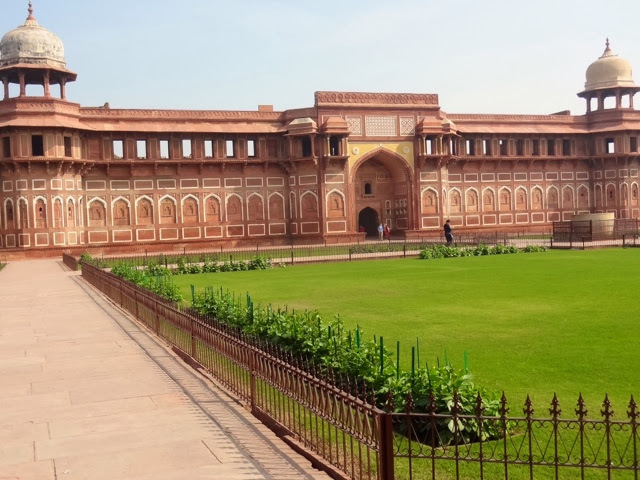 Visited the beautiful red Agra Fort. 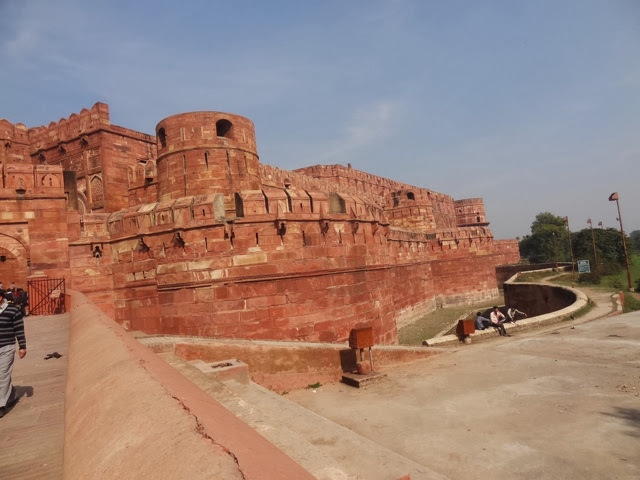 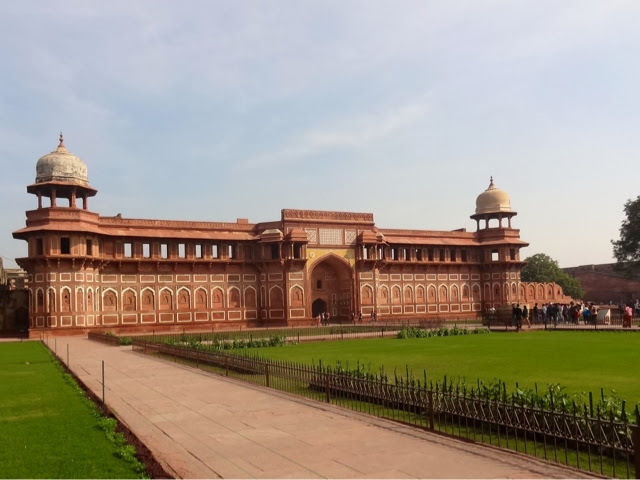 It is red because it is made of red sandstone. 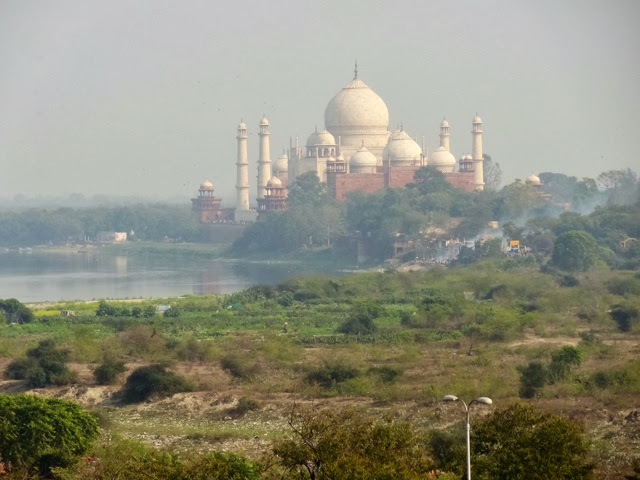 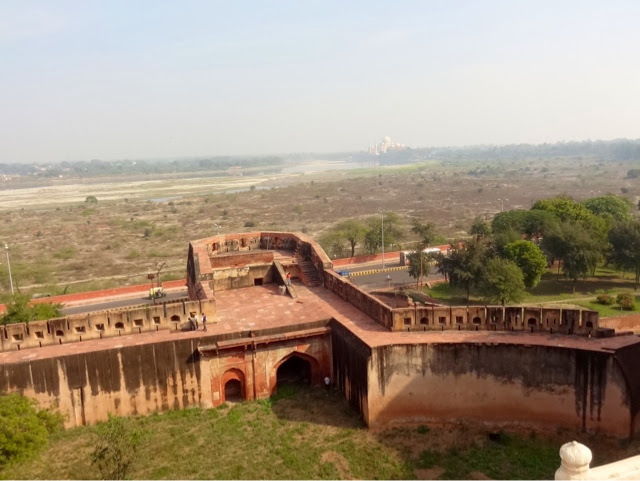 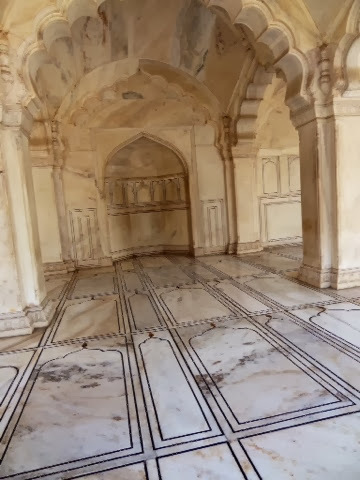 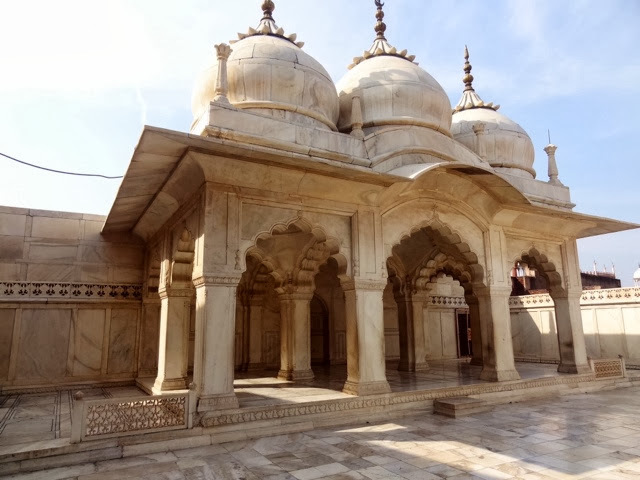 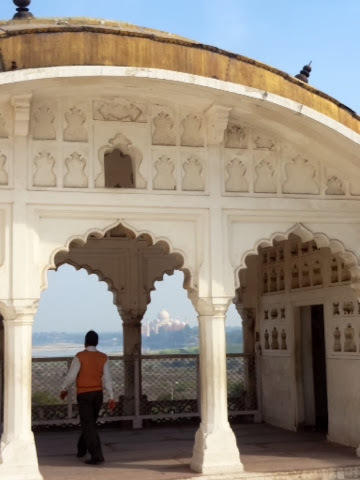 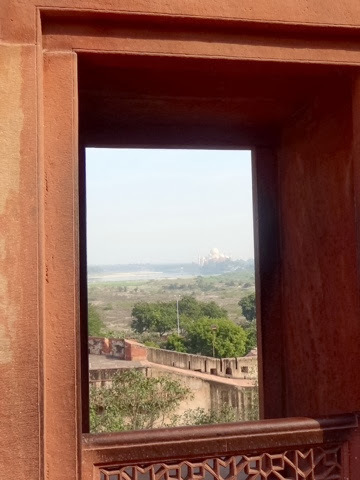 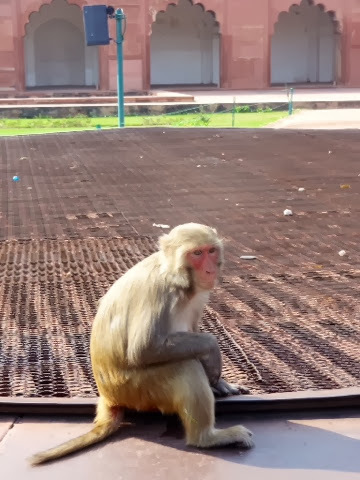 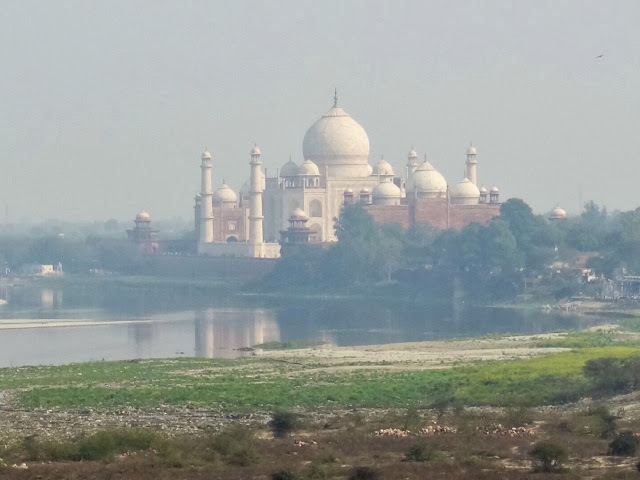 It has great views of the Taj Mahal.